In 2007, Roger Clemens took the mound for the New York Yankees for the last time. After that, he faced a steroids trial after declaring to Congress that he was drug free. Despite all the evidence against him, Clemens escaped a perjury charge and became a free man. Just because he’s free of legal troubles, that doesn’t mean he’s satisfied with his life. After all, Clemens is only 50 years old and has a lot of life left to live. Hence, he’s making a comeback. 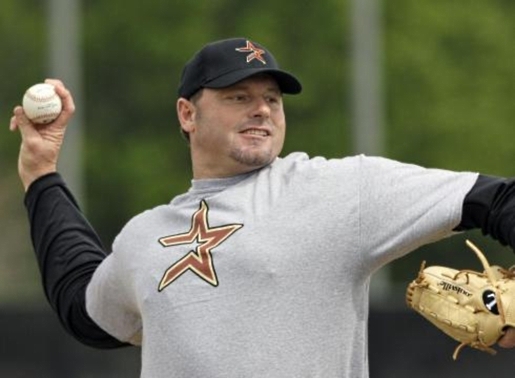 Roger Clemens will take the mound for the Sugar Land Skeeters. The Skeeters are an independent professional baseball team based on Texas, near Clemens’ home, and they are based in the Atlantic League. Clemens will take the mound for the first time as a Skeeter against the famed and hated Bridgeport Bluefish. While Clemens should have no want for money (though it should be noted that Clemens’ former team the Houston Astros were in the stands watching him pitch during his try-out), players in the Atlantic League make between $1500 and $2000 a game; the class of play is comparable to AAA and the Atlantic League has become a home for many former major league players. Among Clemens’ teammates in the Skeeters battery are former Major League pitchers Scott Kazmir, Gary Majewski, Tim Redding, Saul Rivera, Jeff Farnsworth, and Pedro Liriano.